#TCFStyle Roundup: 13 Amazing Plus Size Summer Looks to Copy Now! We are back with another plus size fashion roundup, showcasing a few of our favorite Plus Size Summer Looks to Copy from our #TCFStyle Hashtag! Who said that plus size women don’t have style or shy away from showing off and showing out? I know it has been a minute but I wanted to bring back our TCFStyle Roundup, showing off your amazing plus size style and sass, that you tagged us in! I mean as the weather heats up, so does the style and today’s cache of #TCFStyle picks serves it up, ohhh so nicely! Do you use and follow the #TCFStyle Hashtag? Well, we have picked out a few uber fashionable ladies killing summer style! Do you need a bit of inspiration? I know I love checking out what we are wearing, rocking, and pushing the envelope with and today, I just had to share! Are you following our @thecurvyfashionista Instagram page?! 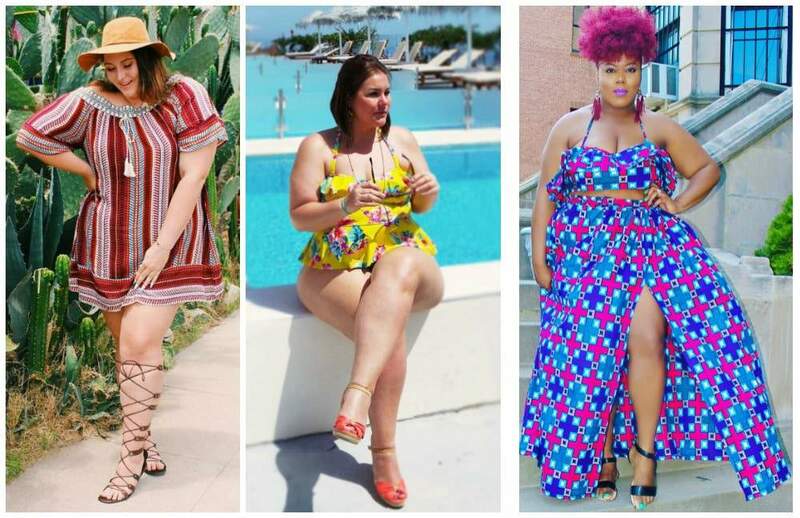 13 Amazing Plus Size Summer Looks to Copy Now! Check me out on page 74 of @plusmodelmag !!! I’m super excited!! How chic are these ladies? Have you been tagging your Instagram posts with #TCFStyle? If so, you just might find your Curvy. Confident. Chic. Instagram looks in this week’s TCFStyle roundup! What better way to share plus size fashion inspiration than to highlight all of YOU who push the envelope, give us something to think about, and who stay inspiring folks? In our #TCFStyle roundups, we showcase YOU as you give face and strut your stuff out in the world. If you did not make it into this post, check out our special TCFStyle page on the blog that highlights YOU. Yes, ma’am! Check out all of the Instagram #TCFStyle pics for even more plus size fashion inspiration. The fashion muses roll deep! One more thing before you go. Are you on Instagram? Are you following us? @TheCurvyFashionista is our IG Handle on there, and if you want to follow me, you can check out my personal page at @mariedenee! Don’t forget! The hashtag to follow and use is #TCFStyle! Check back in next week for more looks we love! Which looks are your favorite? Which ladies are you NOW following? Let’s discuss! I need to know where I can find the fitted black jumpsuit and the tye die two-piece outfit. Love all of these but definitely one bit more.